Northern Queensland is set to benefit from a tourism boom as the Asian century unfolds, according to one of Australia’s leading economic forecasters. Phil Ruthven, the founder and chairman of IBISWorld will deliver the keynote address at the Business Excellence Series in the Tropics (‘best’) lunch on the 15th of May in Townsville. The twice-yearly event is organised by James Cook University’s School of Business. Phil Ruthven’s address, North Queensland and The Asia Pacific: 2014 and Beyond, will discuss the north’s potential opportunities, and whether government and businesses are prepared. Phil Ruthven believes the greatest growth opportunity for the north will come from tourism. “Tourism and other services, such as health and education, will be Australia’s biggest exports by 2030, overtaking mining, which has already overtaken manufacturing and agriculture”. He says northern Australia can benefit from that boom, if it’s prepared. “But are our politicians and business people aware of our true potential?” he questions. He argues there’s also a great opportunity for northern Australia in horticulture. “60 per cent of Australia’s water is found in the top third of the Australian continent, but it has never been properly developed. Townsville is in a good position to capitalise on food security concerns as they continue this century”. 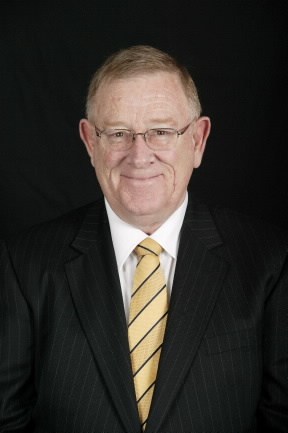 Phil Ruthven is one of Australia’s most respected strategists and forecasters on business, social and economic matters. His company, IBISWorld is an international corporation providing online business information, forecasting and strategic services. The ‘best’ lunch address will be held at the Grand Ballroom, Jupiters Townsville on the 15th of May. Registration for the event closes on the 7th of May.